You were in an accident. Now what? We're here to help. Check out the tips below, and then give us a call and we can get you back on the road in no time. Do they assess the damage? Do they have the direct repair program? Remember: Your deductible applies to the damages to your vehicle. Liability coverage has no deductible and pays for the damage to some one else's vehicle. Let your liability insurance company deal with the other driver. You have enough to worry about. Drive your like-new car away worry-free after itâ's been repaired at Minot's Finest Collision Center. 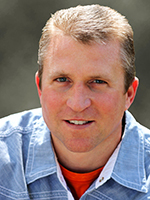 Cory is the President of our company and has over 25 years of experience in the collision repair industry.